What do weddings and winter bike rides have in common? You don't want to have cold feet for either. 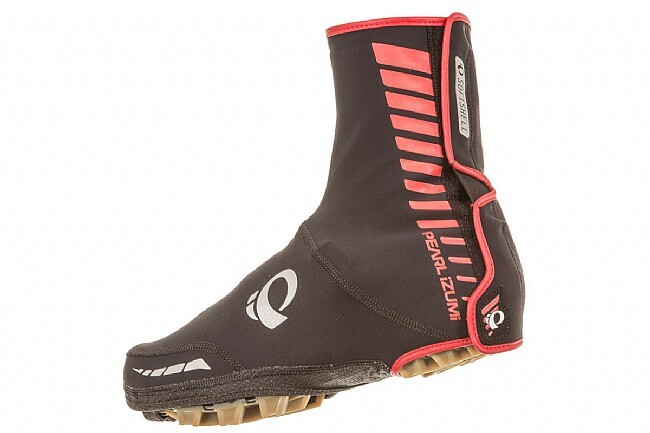 Follow through on your promises to ride strong through the winter with Pearl Izumi's Elite Softshell MTB Shoe Covers. They're made from a 3-layer soft-shell fabric to provide optimal wind and weather protection, and they're anatomically paneled for flexibility while you ride. 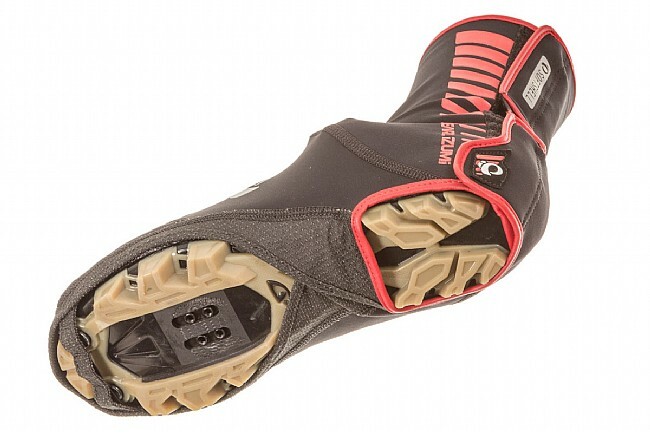 The bottoms are made from super durable Kevlar® and cut to fit around the tread on the soles of your MTB shoes so you can trek down the aisle or the trail without tearing your booties. There's a helpful band on the bottom near the toes to keep the front of the shoe covers from riding up, keeping as much warmth in as possible. Secure closure is ensured by a two-stage hook-and-loop system that's also easy to get in and out of.